Come and build new concpets for consumers with multidiversity teams of students and professionals! Come and create new innovative concepts for robotics using service design methodologies! In this hackathon we do not code, but we will ideate, concept and build together. At the end of the hackathon concepts will be pitched and the winner will be chosen. Both, students and companies are welcome to join! Companies can send team of 3-4 participants or join other teams. The domain of companies and students can be e.g. service design, industrial design, sensors, programming, electronics, drones. But, everyone interested in service design is most welcome! The methodology used in hachathon is Futurice's open source design process and toolkit Lean Service Creation which you can use freely in future on your own projects as well. Kickoff, where Powervision and facilitators introduce participants to the theme of the hackathon and to lean service creation methodology. Building teams and choosing topics. Business objectives and context, immersion, segmentation and preparing the problem interviews. Reserve time for the interviews! 3-4 problem interviews, which help you to find the problem worth solving. Insight, ideation, concepting and value proposition. Fake advertisment, validation, customer engagement and profiling the concept, pitching. At the end of the day teams will pitch their concepts, feedback is collected and the winner is rewarded. Companies will learn new way of developing and testing new services quickly. In service design-hackathon multidiversity teams meet and create new innovatios that solve the problems worth solving. Students will network and learn from the "real-world" companies. You can earn 1 course credit for participating the hackathon. Hands-on service design with help of experienced facilitators as well as representatives from the customer - just like in all projects. The challenge is real and potential concepts will be developed further after the hackathon. You can improve and build up your protfolio and CV. You meet the specialists of robotics as well as other innovative people. It will be fun! 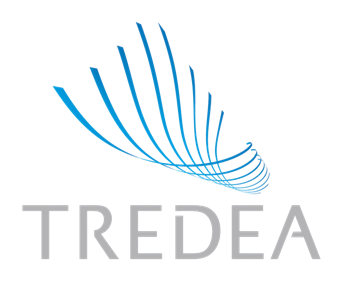 Tredea, the Tampere Region Economic Development Agency, maintains and strengthens the magnetism of the Tampere central region and fosters prerequisites for successful business.